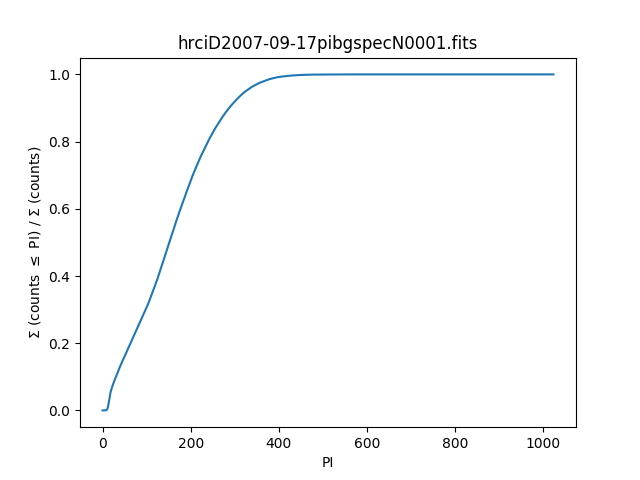 The HRC calibration team has released a set of background spectra from the HRC-I. These spectra describe the particle background of the detector and vary slowly with time which means that they can be used to improve the signal-to-noise of HRC-I imaging data. This can significantly improve signal-to-noise for extended sources and may be useful for point source analysis (e.g. fields with many point sources). The intent of this thread is to apply a PI (instrumental energy channel) filter to an HRC-I imaging event file to increase the signal-to-noise of the resulting images by removing channel ranges in which the particle background dominates. 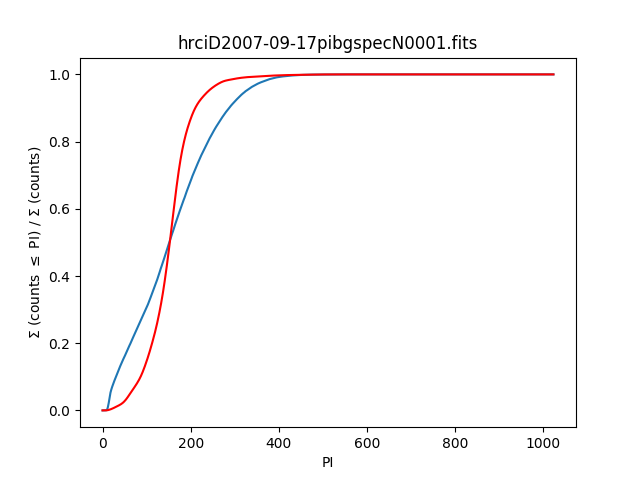 Calculating the cumulative source and background PI distributions allow us to estimate the fraction of source and background counts removed by a given PI filter. To create an HRC-I background event file tailored to a specific observation for imaging or spatial analyses, follow the HRC-I Background Event Files thread instead. The HRC background spectra files are included in the main CALDB download file. In contrast to the background event files, there is no additional tarfile to download. This analysis requires an ARF and RMF. This section of the thread provides the necessary commands; refer to the ahelp files for asphist and mkarf for details. The aspect histogram is used as input to mkarf, which creates the ARF file. The source location is given as (16384.5,16384.5), the aimpoint of the HRC-I detector. The resulting ARF file is named 9700_arf.fits. The naming scheme is hrciD<date>pibgspecN<version>.fits. unix% ln -s $CALDB/data/chandra/hrc/pibgspec/hrciD2007-09-17pibgspecN0001.fits . The background spectrum is used to estimate the reduction in the background signal that the PI filtering will achieve. Note that the calculation for bgcdf assumes that d.counts is >= 0, which should be safe here. We assume that the source spectrum is unknown, so in order to select the PI range we use a soft and a hard spectrum to determine suitable lower and upper limits. For this thread we use an absorbed power law in both cases, varying the absorption and slope to maximize the relative flux at low or high energies, although other approaches are possible (in particular using a model similar to that of the source). We use the background model which we have already loaded to define the channel grid, and add an ARF and RMF to it. The set_analysis call is to ensure that the following modeling is done in PI channels rather than energy or wavelength units. The add_window call is used so that the original plot is not deleted by the call to plot_model. 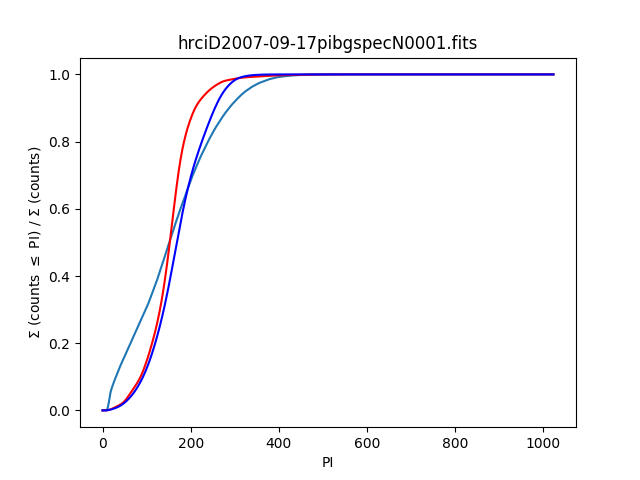 Here we add the cumulative distribution for the soft model to the original plot, so that it can be compared to that of the background spectrum. Various strategies could be employed to optimize the PI range. Ideally, we seek to maximize background reduction while minimizing loss of source events. In practice, the trade-off requires testing many different PI ranges and adopting one that suits best. 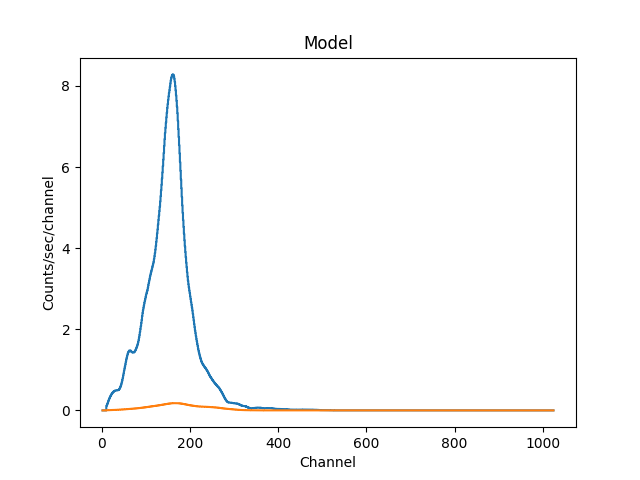 One strategy is to require a certain amount of reduction in background, compute the appropriate PI range, and then estimate the magnitude of source event loss for a specific source model. Alternately, one could set forth an acceptable amount of source loss (sensible ranges are 1 to 10 per cent), compute the appropriate PI range, and then check how much of an improvement results in the background. Here we chose to round the minimum limit down and the maximum limit up; routines in the Python math module, such as floor and ceil can be used to implement different rounding strategies. The lo to hi range can then be used to filter the level=2 event file when creating images. 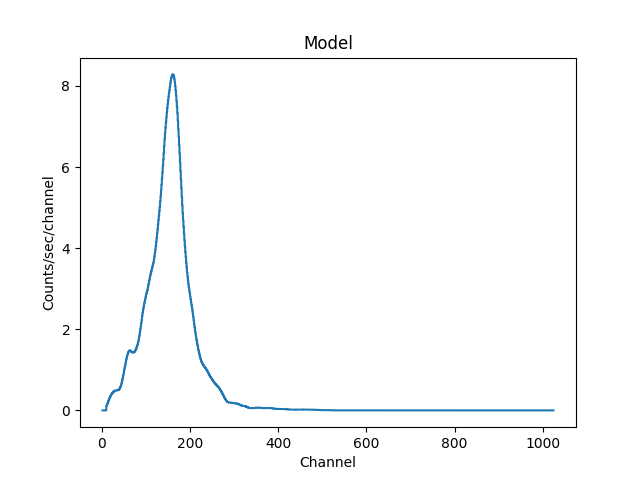 Filtering on the range PI=48:293 will reduce the background by ~25% while only losing ~5% of x-ray events. The percent change between the files is ~22% [(54713-42567)/54713 = 22], which is close to the 24% reduction we expected. The file hrci.shp performs the Sherpa commands used in this thread. One could loop over different values of xfrac to find the optimal S/N improvement. 04 Apr 2011 updated for 04 Apr scripts package release: hrc_bkgrnd_lookup script prints the version at verbose > 0. 14 Apr 2014 Minor edits to text to clarify when/how to use this thread. Updated list of CALDB files.